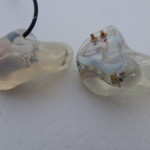 ACS has been making custom monitors in silicone for quite some time with their “T” series consisting of single (T3), dual (T2), and triple (T1) driver custom IEMs, and have been in business since 1994. 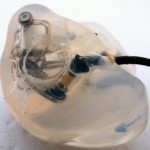 They started with goals of hearing conservation, protecting the hearing of people working in high sound level environments. Their products are available in Europe, North America, and Australasia through their distribution network, and they are well known in the pro audio world. 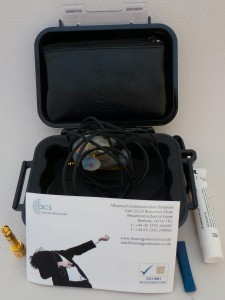 Recently ACS has been moving and shaking, releasing the T15 universal IEM and now the new Live! series which has an integrated crossover, proprietary replaceable cable system, and built in microphones for use with the new Live! series ambient processor. Of course, they also offer a full range of hearing protection products. The T1 Live! 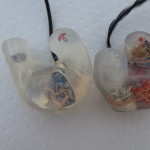 is the top of the line custom IEM from ACS and has been in development for quite some time. I originally found out about the new model late in 2010 from Andy, the man behind ACS, and it finally came into fruition. Andy is a stand-up guy, the type of person that would love to discuss the industry, products, and music, but he is very busy with all the new business avenues at ACS, which also includes manufacture of Altec Lansing custom IEMs. ACS provided the sample for review. ACS makes it easy with branches all over the world; check here for the ACS nearest you. On the individual sites they will help you find an audiologist for your ear impressions, and as you may know, ear impressions are extremely important. Warranty Period – 1 Year against manufacturing and component failure. ACS is known to have excellent customer service in all countries they operate in. The T1 Live! 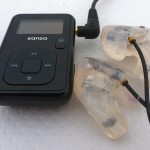 Is a three driver custom IEM with two crossover points for a three-way design in silicone with dual bores. The cables are replaceable, but use a proprietary connector. Online manual. The T1 Live! comes with a Pelican case, leather zipper carry pouch, cleaning tool, comfort cream, care and instruction booklet, and a 3.5mm to 1/4″ inch step-up stereo plug. However, from this point forward, ACS will be supplying a new case that can be seen here instead of the Pelican case. 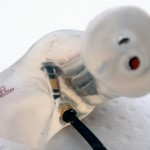 The Kevlar coated cable is different than the standard custom IEM cable and unlike any aftermarket cable I have seen. The cable has no microphonics, and at first it was very unwieldy, tangling quite a bit and springing back into a coiled position. However, during my testing the cable settled down and started to perform quite well. It does have the feel of a durable cable and reports are that it is indeed very durable. Now that the cable is detachable, even if you do eventually run into issues with the cable, you can swap it out for another. With a silicone shell, the T1 Live! is easy to use and very comfortable for long term use. For about the first week I used the included comfort cream to ease insertion, but after that they are very easy to insert. Wearing them all day isn’t an issue, and I can eat, talk, and even yawn while wearing them without breaking the seal. I usually use the small carrying pouch to transport the T1 Live! Using a silicone shell, the T1 Live! 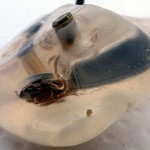 provides better isolation than a typical acrylic shell, which is rated at 27 dB. 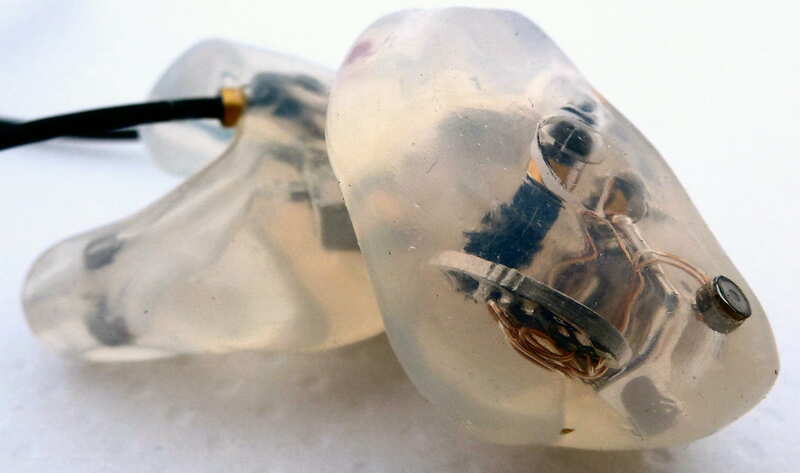 The isolation is similar to the Spiral Ear and a bit above the denser Minerva shells, which also have a different shape to them, only slightly trailing the Starkey SA-43. The ACS T1 Live! received 100+ hours of burn in as is customary before I do my serious listening. Custom IEMs used for comparison include the Spiral Ear SE-5-way, Starkey SA-43, JH Audio JH16, Rooth LS8, Earsonics EM4 and EM3 Pro, Ultimate Ears In-Ear Reference Monitor, and Hidition NT-6. You can read about my reviewing technique here. Out of the box they sounded pretty good, but I was in the midst of reviewing a custom IEM that cost about half as much. I did notice the mid-forward sound along with a rich and natural presentation. Bass: With a warm sound and forward bass, the T1 Live! presents the bass with good weight due to the extension, forwardness, and ever so slight enhancement. Speaking of extension, it is very good with a gradual roll off starting at 31 Hz yet 20 Hz was audible and I could experience 17 Hz. The ability to rumble is good and will satisfy most, it does lag the multi-bass driver balanced armature CIEMs and of course dynamic driver CIEMs, only besting the UERM in the class. Note thickness is a bit higher than the norm for this class; however it isn’t too far out of line and not the thickest. This is what leads to the warm and rich presentation resulting in a natural, organic sound. While not the leader in texturing, detail, or control, the T1 Live! does well enough to remain competitive and not give up too much here, and if you are looking for a presentation that isn’t too enhanced (which I know many of you are), the T1 Live! will fit the bill. Midrange: The midrange is the sweet spot for the T1 Live!, with a forward presentation that has nice presentation depth with a rich, musical realism to the sound, giving vocals life-like tones. The clarity of the presentation is very good considering the warmer presentation, which is in part due to a bit of an upper midrange bump. Since the midrange is forward, vocals are front and center and instruments are usually close, but that can reduce the perception of a large soundstage. The natural sounding vocals are in the same league as the EM4, a bit below the 5-way, and about equal but different than the NT-6. Treble: There is a de-emphasis on the treble in comparison with the rest of the spectrum, resulting in a laid back treble area. Most of the custom IEMs I have in the T1’s class have more treble presence with the exception of the EM3 Pro while the SA-43 has about the same amount. Even though the treble is laid back, it still has an air to it and doesn’t sound lacking, just more relaxed. Treble quality is good due to a natural sounding attack and decay resulting in the same natural tone that the rest of the spectrum has. Presentation: As discussed in the frequency spectrum sections above, the T1 Live! presents music in a very natural and musical way that is organic and immersive, disappearing in your ears while never being offensive. The bass and midrange are forward while the treble is laid back, but still integrated quite well with the midrange resulting in very good transparency. Size and proportions of the T1 Live! are very good, and while not the largest, the overall space is impressive for considering the forward midrange. Average note thickness is on the slightly longer side in the class, but not by much. The attack and decay ability is very good, having a large range of attack and better than average decay in the bass through the treble. Sub-bass decay is good, but below that of the multi-BA bass driver and dynamic driver custom IEMs. The good attack/decay performance results in a good amount of detail across the spectrum, but it also makes the T1 Live! less forgiving than many others in the class. Overall clarity is good, but it does change with the song a good deal. There are no issues with the dynamic range of the T1, putting it right around there the others in the class are, except in the bass region where it is slightly below the average, although without direct comparison it is impressive for a single BA driver. Midrange dynamics are better when the track is more mid-forward. While the T1 Live! is remarkably good, there is an issue when compared with other CIEMs in the class. During fast and complex tracks played at moderate volume or above the midrange gets a bit congested. Just how bad is it? Without direct comparison I have to listen for it unless I really know the track, and it doesn’t happen with many tracks. What happens exactly? The clarity, instrument separation, transparency, and detail levels are reduced. In the grand scheme of things, it isn’t a huge deal to me, but it is there. As always, I would recommend buying based on sound signature, and the T1 Live! is recommended if you want the sound signature. Spiral Ear SE 5-way Reference: Both have a warmth and naturalness to them, but the 5-way is brighter with a more laid back and expansive presentation that is more refined, layered, and resolving. The T1 is more mid forward than the 5-way, sounding more intimate and can sound a bit congested in comparison with complex music. While clarity, transparency, speed, and imaging are good with the T1, the 5-way does best the T1. One of the issues I have struggled with when comparing the 5-way is that the sound changes much more with each track just about anything else (not unlike trying to hold jell-o), and it is no different in this case. Depending on the track, the 5-way can offer a leaner sound while other times there is a thickness to the 5-way that is not there with the T1. However, regardless of the presentation the superior technical performance does come through. The bass of the T1 is more prominent and more upfront giving it more emphasis, however the 5-way can out-rumble the T1 quite easily with bass heavy tracks. In general, the T1 is warmer than the 5-way, but this shifts quite a bit with the 5-way depending on the track, so it is hard to say which is naturally warmer. The forward mids of the T1 bring the presentation closer to you, although there is more detail and better imaging with the 5-way with more placement differences. The upper midrange of the 5-way changes quite a bit with each track, but in general the T1 has a bit more emphasis. Emphasis in the treble region goes to the 5-way with its bright and airy presentation that extends all the way up. They could be considered competitors in that they both have natural and rich presentations; however they aren’t due to the different sound signatures. The T1 Live! is more forward and has a more laid back treble while the 5-way is laid back with a brighter treble region and the ability to roar down low. Technically there is a noticeable performance difference, with the 5-way being superior, but the T1 isn’t bad by any means. I would recommend the T1 Live! for stage use and the 5-way for audiophiles and studio use. Also, the 5-way isn’t the easiest to get if you are in the US. M-Fidelity SA-43: With 4 sound options, the SA-43 sound signature can vary; I compared with the presence and bass switches on, which is the closest to the T1 Live! sound signature. Even with the presence switch on, the T1 presents the midrange in a much more forward way and has more forward bass while the treble of both is on the laid back side, but the T1 Live! has more upper midrange/lower treble. Due to the more forward presentation of the T1, the soundstage space isn’t as large as the SA-43, and the SA-43 has a larger headstage as well with better projection with the more laid back sound. While the T1 images quite well, the SA-43 has better imaging and definition of space within the soundstage with better focus and outlining of instruments. The T1 Live! sounds a bit faster with fast music and has a little more punch when called for, but the SA-43 is more transparent and changes more with each track. Clarity is fairly close between the two, but the clarity is a different sort of clarity depending on the track with the T1 having more clarity at times due to the brighter upper mids while the SA-43 clarity is due to the presentation of a large, cohesive space. With an extra bass driver, the SA-43 can rumble more in the sub-bass, but the T1 is more linear down to 20 Hz. There is more warmth with the T1, but the overall bass quality is a bit lower than that of the SA-43. The midrange of the T1 is forward and how exciting the presentation is with the T1 is very dependent on the recording, as some more laid back midrange presentations are rendered a bit on the flatter side, although mid forward tracks can be very dynamic. The SA-43 isn’t as emphasized in the upper midrange area which gives the presentation a more spacious sound than that of the T1. The T1 Live! isn’t treble recessed, but there is a bigger difference between the treble and upper mids on the T1 Live!. Treble quality is similar as is extension. You choice for either a laid back or mid-forward sound signature will lead you to a decision here as the T1 puts vocals up front and center while the SA-43 is laid back in comparison, even with the most “forward” setting of the switches. Imaging and soundstage space are better with the SA-43, but the T1 Live! has a great sound signature that is perfect for stage use, although the SA-43 would also be a good fit. Technically, the SA-43 does outperform the T1 by a small margin, but a decision should be based on your preference for the presentation, which can become even more laid back and bass neutral on the SA-43 with a few flips of the switches. 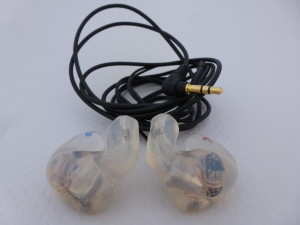 JH Audio JH16: The JH16 has a cleaner, clearer sound that is punchier and more dynamic than the T1 Live!, which is thicker and richer sounding. The soundstage of the JH16 is wider but the T1 has better depth to the presentation to go along with a more mid-forward presentation. The flatness of the JH16 presentation can lead to instruments seeming misplaced within the soundstage in direct comparison with the T1, which images well and has better proportions. Detail levels are superior on the JH16, but the differences aren’t huge. The overall presentation is more transparent on the T1, mainly due to the presentation proportions, but also due to the richer presentation. With a quicker attack and average note decay, the JH16 sounds faster. Bass output can be close at times, but when there is deep bass rumble or a large quantity of bass in a track the JH16 pulls ahead, far ahead at times, however the T1 is warmer and thicker. The warmth and thickness carries over to the midrange, making the JH16 sound a bit colder in comparison, although both are liquid. Given the bass and treble boost of the JH16 and the more forward midrange (and bass) of the T1, the midranges sound quite different. 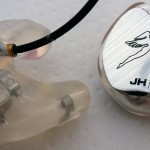 Detail levels are higher on the JH16 and due to the presentation, they are also easier to hear. The treble is divergent as the JH16 is brighter with better extension, however the T1 has more realistic note decay with cymbals and other instruments while the JH16 presentation is about presenting the detail in an easy to hear way. If you are looking for CIEMs to complement each other, these two can do it. The JH16 has a thinner, more analytical note that leads to better clarity and speed to go along with more bass and treble emphasis resulting in a precise and exciting presentation. On the other hand, the T1 Live! gives a more front and center presentation with warmth and richness, better soundstage depth and imaging, and a more natural tone which is better for acoustic and well mastered tracks. While the JH16 is a fantastic performer in so many ways, the T1 Live! actually scores higher technically due to the soundstage presentation and more analytical note of the JH16, however this isn’t a one or the other type of decision since they do sound very different. LS8: With a natural and warm presentation, the T1 Live! gives a contrast to the more forward, brighter, and bassier LS8. The presentation of space is larger with the T1 Live! giving more depth and air to the presentation while the imaging is similar, however the internal resolution of the presentation as well as instrument separation and detail is better with the LS8. The clarity of the presentation is better overall with the LS8, however that is not the case for the midrange, which gives the T1 a slight advantage in transparency and coherence across the frequency spectrum. Dynamics are greater with the LS8, especially in the bass with a faster attack and slightly quicker decay. Bass sounds rather boring with the T1 Live! in comparison with the LS8, as there is more emphasis, reverb/note sustainment, and a good deal more dynamics. LS8 notes are slightly thinner with more detail compared with the richer and warmer T1, and while the LS8 is a bit on the warm side, it doesn’t seem so in comparison. Moving to the midrange, vocals don’t sound quite as natural with the LS8 due to the upper midrange peak in relation to the lower mids along with the lower clarity. There is a good deal more emphasis in the upper midrange which brings that area forward which, when compared with the lower mids takes away from the natural sound. In the treble region, the LS8 is one of the best with exceptional extension, flat in-ear frequency response, and smooth yet detailed presentation, however the T1 Live! treble quality isn’t far behind except for the extension. The treble of the LS8 is a little lusher than that of the T1 Live!, giving cymbals and other instrument additional life. Both offer something different; the LS8 giving a brighter, more detailed and liquid presentation that gives a musical experience to analysis of music while the T1 Live! sounds more natural, organic, and warmer. If you focus on vocals, the T1 Live! will be the better choice, however if you are a detail freak but still want a very liquid presentation with the ability to pound out the bass, the LS8 is a great choice. For electronic, give me the LS8, for acoustic, the T1 Live! 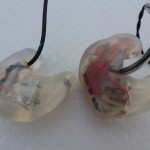 EarSonics EM4: The T1 Live! is made for live stage performances while the EM4 was tuned for audiophiles, and the differences come through in the comparison. The EM4 is more mid-forward than the T1 Live!, but that is an Earsonics trait. Spaciousness is similar, however the T1 Live! can at times seem larger due to the laid back presentation, however the EM4 has a little bit better depth in very spacious recordings. Overall, the T1 Live! sounds more tonally accurate and realistic overall, however the EM4 has better vocal tonality. Detail levels are similar between the two, although the T1 Live! is slightly more resolving. The EM4 displays better dynamics while transparency is a bit better with the T1 Live! Clarity is very close between the two, as is imaging, although the Live! has a slightly better range of note decay, being able to recreate shorter notes more accurately which can make the EM4 sound a bit thick at times. Bass with the EM4 is a bit warmer and more enhanced with more rumble, and while the T1 can provide a good amount of rumble, it needs better amplification to do so. The T1 has better texturing of the bass by a bit, but when a bass heavy song comes on with a lot of rumble, the EM4 leaves the T1 behind in recreation of visceral sub-bass. That doesn’t mean the T1 is lacking in feel or impact, but that the EM4 gives you much more capability, punch, and rumble. The EM4 is mid-focused and the mids are more liquid with amazing vocals while the T1 has a more tonally accurate sound across the entire midrange from lower mids through upper mids, and also has a better balance across the frequency spectrum. The T1 isn’t analytical, but it is less liquid than the EM4. With a more forward treble and more upper midrange energy the T1 Live! often sounds more airy and brighter even though the actual treble quantity is similar. This leads to a better transition between the midrange and treble with the T1 Live! While both offer high quality treble, the EM4 is smoother and more liquid at times as it is more forgiving. Both are very capable performers but will have different audiences. The T1 Live! has more of a reference sound, but more of a stage reference as opposed to a mastering reference. With a more mid-forward, bass emphasized, and punchier presentation the EM4 is more fun with a bigger wow factor, but sounds less coherent and more colored. Technically, these aren’t all that far off with the EM4 rating higher, but these two are not all that far off in sound, it just depends on what strengths you prefer. Hidition NT-6: Both were designed with different goals in mind, and the ACS has withstood the test of time while the NT-6 is a relatively new (at least on the international scene) and very exciting option in the market. The ACS T1 Live! is warmer and richer with a more mid-forward presentation that is overall more intimate vs. the brighter and spacious NT-6. While the detail levels of the T1 are good, the NT-6 has more detail and reveals more intimate details within songs in conjunction with having increased clarity. The presentation space of the NT-6 is larger than the T1 Live!, partly due to the more laid back presentation, but the NT-6 can project further, if just by a small amount. In comparison, the T1 Live! can sound a bit congested, but the NT-6 has a habit of making other CIEMs sound lacking in some way, especially in clarity and focus of within the soundstage. Speed, transparency, dynamics, and imaging are all superior with the NT-6 even though there is a liquidity and musicality to the presentation, but with that said the T1 Live! is more musical and much more forgiving of poorly mastered/lower bitrate tracks. The T1 Live! has more bass emphasis and warmth, but the NT-6 has more rumble and a cleaner, tighter note that is more detailed and controlled. Because of the additional rumble with the NT-6, the T1 Live! sounds like the deep bass isn’t as prominent as with the NT-6, which does have a slight emphasis there. However the T1 Live’s warmer presentation results in a richer sound with more body to notes. The warmth continues up through the midrange, as the T1 Live! is thicker, warmer, and more organic, however the NT-6 cuts through the presentation with immense clarity to go along with better focus and precision. The more laid back midrange presentation of the NT-6 gives an overall laid back feel to the NT-6, and while the bass, midrange, and treble are all integrated well with the T1, the NT-6 takes that a step further. Treble quantity is very divergent between the two as the NT-6 is brighter with better extension and more forward, and while the treble quality of the T1 Live! is very good, the quality of the NT-6 is the best I have heard. Overall the T1 Live! 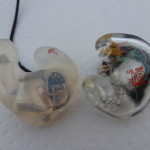 is a very good CIEM with a rich and musical presentation, however, next to the NT-6 there are some weaknesses. But that is not saying that the NT-6 is going to be a recommended buy for everyone as the richness of the T1 Live! along with the ability to still sound good with poor tracks and the relaxed treble makes the T1 Live! appealing. The NT-6 is for the detail freaks and studio engineers that want to hear everything while the T1 Live is more for those that like a more organic sound; these two would make great compliments to each other. 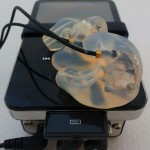 EarSonics EM3 Pro: The note presentations aren’t too far off, but in contrast the T1 Live! sounds clearer and brighter with less low end oomph. The midrange of the EM3 Pro is more forward, but not by much, yet the T1 sounds much more open and expansive. Imaging is good with both, but the instruments are better defined and separated within the T1 soundstage. While width is greater with the T1, the depth of select tracks extends much further with the EM3 Pro, which is one of its strengths. As stated already, the T1 offers much better clarity and an overall better feel of precision as the notes on the EM3 are thicker with a slower attack, giving the T1 the speed advantage. However, the EM3 can recreate the ambiance of recordings better giving a more realistic render of live performances, even though the T1 is cleaner and clearer. The EM3 Pro is a powerful CIEM with plenty of bass while the T1 Live! 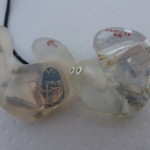 is a balanced yet warm CIEM that doesn’t lack bass. When there is rumble in a song, the EM3 Pro rumbles more, that is unless the rumble is in the deepest registers, where there is a reversal. And the bass of the T1 is cleaner, with better control, even when the T1 is outputting more deep bass, but overall the EM3 Pro will sound more enhanced unless you listen to music with lots of very deep bass. The T1 Live! is on the warm side, but the EM3 Pro is warmer and thicker from top to bottom, but especially in the midrange, giving the T1 Live! a clearer and more detailed presentation. 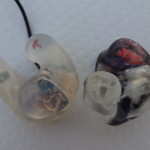 The T1 isn’t a bright CIEM, but it is brighter than the EM3. Detail levels are similar, but the details are much easier to hear with the T1 due to a thickness that veils the EM3 treble a bit. If you like a darker, thicker presentation and/or are very treble sensitive, the EM3 Pro is the way to go, but if you want a cleaner, clearer presentation, the T1 Live! is it. I can see both being used on stage for various reason, as the EM3 recreates ambiance and has treble that is completely non-fatiguing, but what the T1 Live! does is reproduce more instrument detail, in an easier to recognize way while still having the warmth and non-fatiguing treble. Logitech Ultimate Ears In-Ear Reference Monitor (IERM): The general sound signature of the IERM is brighter and leaner than that of the T1 Live!, which has a more spacious overall sound. Part of the spacious presentation is better instrument placement of the T1 Live! while the other part is due to the more laid back sound of the T1. Imaging is similar, but the focus of the T1 is a good deal better than the IERM, resulting in a cleaner sound most of the time with more resolution of the presentation space. There are times with complex music that the T1 sounds a bit congested in comparison, however this issue isn’t as noticeable as when comparing the T1 with some other CIEMs such as the NT-6 and 5-way. The brighter sound and additional emphasis on the upper mids and treble give the IERM more articulation of details throughout the spectrum. With a shorter average note, the IERM is faster and thinner in presentation leading to poorer mastered tracks sounding worse, much worse. The T1 Live! is more transparent and coherent across your head, but there is better clarity and instrument detail with the IERM. While dynamics aren’t all that far off, the T1 does exhibit a bit more dynamic range and is a slight bit punchier. The bass is a good deal different between these two as the T1 Live! extends down further, has more note thickness and rumble, and also has more bass emphasis even though the bass is neutral. This gives the T1 Live! a sense of more power, warmth, and punch. The mid-bass through the lower mids of the T1 are thicker giving a richer presentation while the more forward midrange of the IERM offers better clarity. While vocals are tonally different, with the IERM giving a higher tone, both are very convincing in direct comparison. Moving to the upper midrange, the T1 does have a bit of a boost, but not quite as much as the IERM, which continues to enhance the treble leading to a more forward treble presentation. 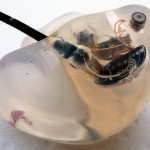 Extension is the same, but the IERM doesn’t start to roll off just until were the response drops off while the T1 Live! starts to gently roll off at 13 KHz. The IERM is quite different than the T1 Live!, giving a more analytical and brighter presentation that articulates details better and brings flaws within your music to the forefront. The T1 Live! is more musical, with a richer, more organic, and laid back sound, especially in the treble regions. One is great for stage use while the other is more suited for a studio engineer. For the audiophile, it depends on what you want to get, a pleasing, musical experience, or the inner details of your music, good or bad. Volume performance: The T1 Live! performance at very low volumes isn’t the greatest as the bass driver doesn’t fully kick in until low volumes, and is up to full speed at mid-low volumes. At louder volumes the T1 Live! can sound more congested than at lower volumes with complex tracks. The T1 Live! 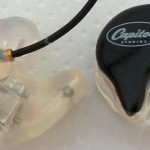 is not dynamic and punchy sounding like the JH16 or EM4 and it isn’t going to give you the bass power of the 5-way or a dynamic driver CIEM, but no matter what I compared it to, I felt the T1 sounded very natural with excellent tone. Essentially, what the T1 may lack in technical performance (although it really isn’t bad at all) it makes up for in natural tone when compared with custom IEMs in its class. The presentation is rich and clear with great integration from top to bottom resulting in great transparency and coherence. The bass and midrange are forward while the treble is more laid back in comparison resulting in an engaging and fatigue-free presentation. Bass is slightly enhanced, but since it is also forward there more of a sense of weight that is typical for the enhancement level, resulting in bass that is very present but not overpowering. The treble is laid back in comparison to the bass and midrange and smooth yet detailed, with a gentle roll off from 13 KHz through 16.5 KHz giving a fatigue-free presentation. As good as the bass and treble are, the midrange is the special part of the T1 Live! Vocals are extremely realistic, sounding, well, live! With a large and spacious presentation, the T1 Live! is enveloping and transparent with very good clarity. However, that isn’t always the case as at louder volumes with complex music the instruments can become congested. From a competitive standpoint, the T1 Live! is technically in the middle of the pack but offers a great tonality that is closest to the SE 5-way that I have heard, and that is a good thing. iPhone 4S -> I compared the amps with the iPhone 4S via the same Silver Dragon LOD, and other than performance levels, the amps performed pretty close to the same. A half to full point should be deducted from each score since the 4S doesn’t have the resolution, clarity, or depth of presentation the modded iPod has. Source Summary: While the T1 Live! does OK with DAPs, noticeable sound improvements will be realized from amps and higher resolution DACs. The T1 Live! was designed for stage use with wireless packs, which I don’t currently have for testing. But it is not all perfect, as nothing is. The T1 Live! can sound a bit congested with complex music at louder volumes when compared with others in its class, and bass rumble is bested by the multi-bass balanced armature driver and dynamic driver custom IEMs. This is worse with lower end DAPs and improves with amps, although the T1 Live! was designed to be used with a wireless pack, which I do have for source matching. But the more natural sounding tone makes up for these shortcomings vs. much of the competition. Overall, performance is very competitive for the price, and combined with the rich and involving recreation of music, the T1 Live! is a great option stage and for the audio enthusiast. Do you guys have any plans to view the latest ACS Encore? I’d be interested in your findings. Very interesting product and one we would like to review once we get through the rather large current backlog.